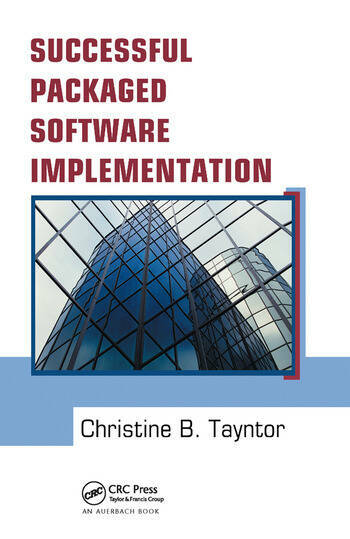 Although focusing primarily on acquiring, installing, and implementing applications software (the most complex category of software from an IT manager's viewpoint) this book also is applicable to shrink-wrapped and system software. With more than 30 years of experience in IT, Christine B. Tayntor has worked in the life insurance, banking, and manufacturing industries as well as serving as a consultant. Her experience includes the implementation and maintenance of packaged software, the negotiation of IT contracts, and the outsourcing of both software development and support. The author of Six Sigma Software Development, she is also a frequent contributor to technical publications and a speaker at numerous conferences. Is Packaged Software the Answer? RFI vs. RFP - What Is the Difference? What is the Value of an RFP? When is an RFP Needed? Will Implementation be "Big Bang" or Phased? What will be Included in Each Phase? Will There Be Parallel Runs? Architect, General Contractor or Skilled Trade? How Much Variation Will Be Allowed? Will There Be One Project or Many? How Many Instances Will There Be? Will the Implementation Be Multicountry? "…does an excellent job of covering all aspects of incorporating vendor-supplied software into an organization. …provides a complete process that will help reader avoid costly mistakes. 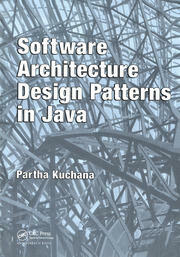 …captures many years of experience in working these types of projects in a thorough, very detailed but readable style. The extraordinary coverage offers something for everyone-higher management, project manager, or IT worker. 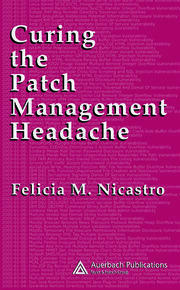 …a must read for anyone who works with commercial, off-the-shelf software solution."